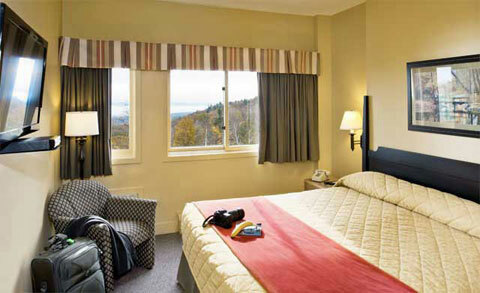 Steele Hill Resorts offers some of the most spacious, well-appointed rooms in New Hampshire’s Lakes Region. 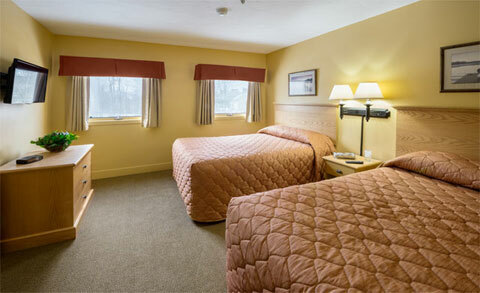 From Large Two Bedroom units overlooking Lake Winnisquam and Lake Winnipesaukee to cozy, freshly renovated rooms in the original inn building with king sized beds, flat-screen TVs and kitchens. 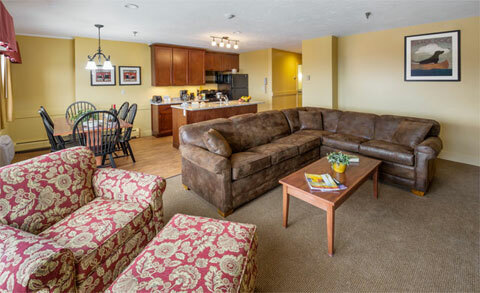 Guest lodging is provided in three separate structures: Steele Hill East, Steele Hill West and Steele Hill South. All guests are free to use all facilities at the resort. 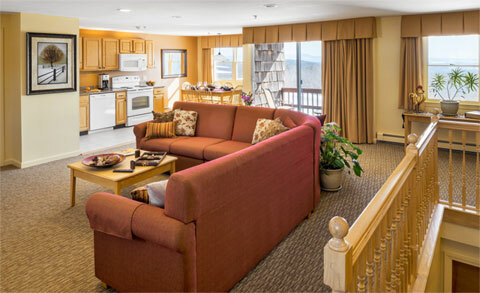 Steele Hill South, the resort's most recent addition, offers these luxurious 2 bedroom units with unparalleled views of the Belknap Mountain Range and Lake Winnisquam. 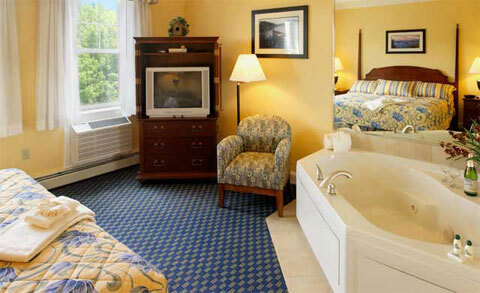 The 2 Bedroom South Vista Suite includes a separate master bedroom with a king sized bed, master bathroom with 2 person Jacuzzi tub and separate shower. A second bedroom with king sized bed and full bathroom. The living area has a queen sized pull out sofa, full kitchen with granite counter tops, gas fireplace, washer and dryer and spacious balcony that stretches from the bedroom to the living rooming. 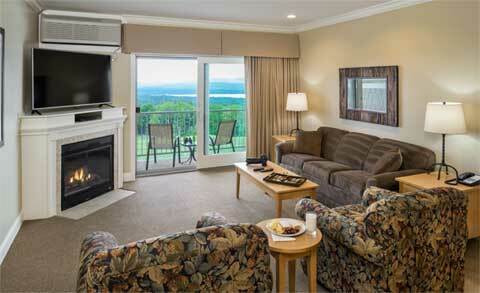 Steele Hill South, the resort's most recent addition, offers these luxurious 1 bedroom units with unparalleled views of the Belknap Mountain Range and Lake Winnisquam. The 1 Bedroom South Vista Suite includes a separate master bedroom with a king sized bed and full bathroom with a shower. The living area has a queen sized pull out sofa bed, full kitchen with granite counter tops, gas fireplace, in-room washer and dryer and balcony or patio that stretches from the bedroom to the living space. 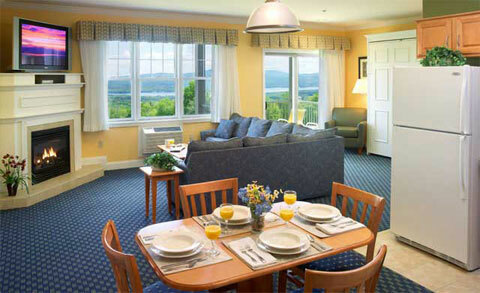 Steele Hill South, the resort's most recent addition, offers these luxurious 1 bedroom units with unparalleled views of the Belknap Mountain Range and Lake Winnisquam. The 1 bedroom south suite includes a separate master bedroom with a king sized bed, 2 person Jacuzzi tub and master bathroom with a shower. The living area has a queen sized pull out sofa, a queen size Murphy bed, full kitchen with granite countertops, gas fireplace, 2nd full bathroom, plasma TV, in-room washer and dryer and balcony or patio. 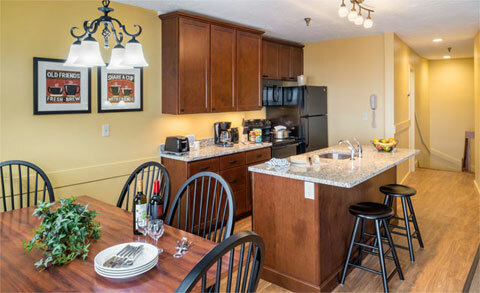 Steele Hill South, the resort's most recent addition, offers these luxurious studio units with unparalleled views of the Belknap Mountain Range and Lake Winnisquam. The south studio includes queen sized pullout sofa and queen size Murphy bed, bathroom with shower, gas fireplace, plasma TV, in-room washer and dryer, full kitchen with granite countertops and balcony or patio. 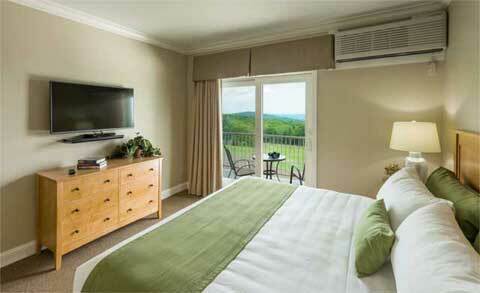 Steele Hill South, the resort's most recent addition, offers these luxurious hotel rooms. The master south hotel room includes a king sized bed, master bathroom with shower, a large TV and a two person Jacuzzi tub. 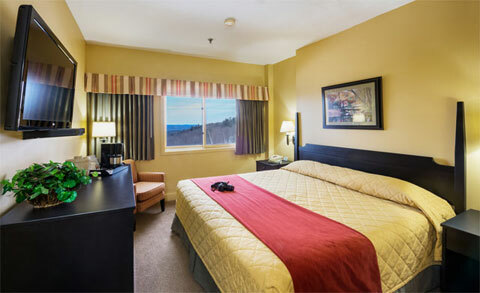 Enjoy access to all resort amenities while staying in these luxurious hotel style accommodations. Steele Hill West, with indoor access to our glass amenities center, offers these signature townhouse units. Experience high-end, spacious accommodation with all the comforts of home. This luxurious signature townhouse includes master bedroom with king sized bed, whirlpool bath, guest bedroom with double beds, living room with queen sized sleep sofa, fireplace, second bathroom, full kitchen, 3 flat screen TVs and balcony with spectacular views of lakes, mountains and nearby forests. Steele Hill West, with indoor access to our glass amenities center, offers these signature townhouse units. Experience high-end, spacious accommodation with all the comforts of home. This luxurious signature townhouse includes master bedroom with king sized bed, whirlpool bath, guest bedroom with king bed, living room with queen sized sleep sofa, fireplace, second bathroom, full kitchen, 3 flat screen TVs and balcony with spectacular views of lakes, mountains and nearby forests. Steele Hill West, with indoor access to our glass amenities center, offers these signature 1 bedroom units. Enjoy creature comforts and luxury in this signature 1 bedroom unit. Room includes a bedroom with two double beds, living room with queen sized sleep sofa, fireplace, bathroom with shower, full open concept kitchen with granite, 2 flat screen cable TVs and balcony with spectacular views of lakes, mountains and nearby forests. Steele Hill West, with indoor access to our glass amenities center, offers these signature 1 bedroom units. Enjoy creature comforts and luxury in this signature 1 bedroom unit. Room includes a bedroom with a king sized bed, living room with queen sized sleep sofa, fireplace, bathroom with shower, full open concept kitchen with granite, 2 flat screen cable TVs and balcony with spectacular views of lakes, mountains and nearby forests. Steele Hill West, with indoor access to our glass amenities center, offers these signature hotel rooms. Experience high-end hotel accommodations with close proximity to the main indoor pool. 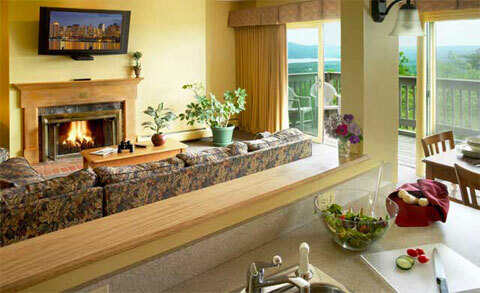 The west signature hotel unit includes a master bedroom with king sized bed, full bathroom with whirlpool bath, side by side vanity with granite countertops, flat screen cable TV with DVD player, mini-fridge, coffee maker, microwave and window views of lakes, mountains and nearby forests. Steele Hill West, with indoor access to our glass amenities center, offers these spacious townhouse units. The 2 bedroom west townhouse includes master bedroom with king sized bed, whirlpool bath, guest bedroom with double beds, living room with queen sized sleep sofa, fireplace, second bathroom, full kitchen, flat screen cable TV and balcony with spectacular views of lakes, mountains and nearby forests. 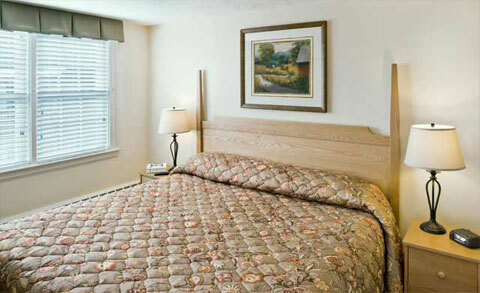 Steele Hill West, with indoor access to our glass amenities center, offers these large 1 bedroom units. The 1 bedroom west unit includes bedroom with two double beds, living room with queen sized sleep sofa, fireplace, bathroom with shower, full kitchen, flat screen cable TV and balcony with spectacular views of lakes, mountains and nearby forests. 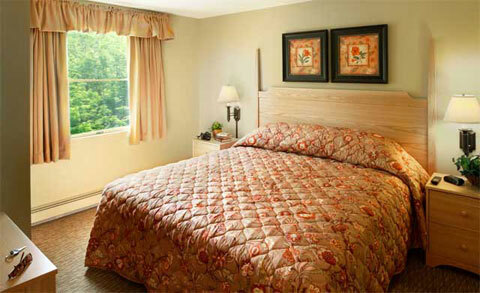 Steele Hill West, with indoor access to our glass amenities center, offers these hotel style units. The west hotel unit includes a master bedroom with king sized bed, full bathroom with whirlpool bath, cable TV with DVD player, mini-fridge, coffee maker, microwave and window views of lakes, mountains and nearby forests. Steele Hill East, with connected access to indoor/outdoor pools and the restaurant facilities, offers these spacious 2 bedroom suites. The 2 bedroom east units include a master bedroom with king sized bed, whirlpool bath, guest bedroom with twin beds, living room with sleep sofa, 2 additional bathrooms, full kitchen, cable TV and 2 Balconies or Patios overlooking spectacular Lakes and Mountains views. Steele Hill East, with connected access to indoor/outdoor pools and the restaurant facilities, offers these spacious 1 bedroom suites. The 1 bedroom east units include a master bedroom with king sized bed, living room with double sleep sofa, full kitchen, flat screen cable TV and balcony or patio overlooking breath-taking views of lakes and mountains. 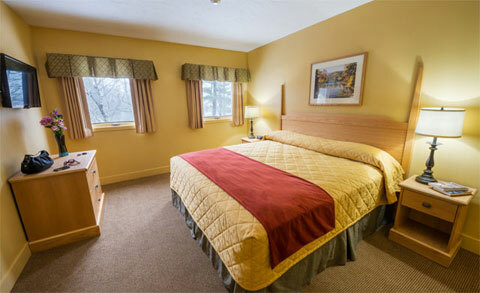 The Steele Hill Main Inn, home to the Hill Top Restaurant and central to the property, offers these cozy 1 bedroom suites. The 1 bedroom lodge unit includes a master bedroom with a king sized bed, living room with a queen sleep sofa, full bathroom and a full kitchen. 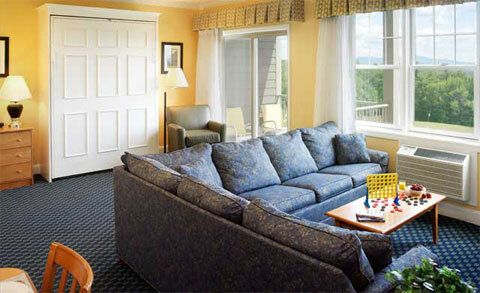 Enjoy the atmosphere of an authentic New Hampshire inn in a renovated modernized suite.